I’ve investigated chocolate in California through two chocolate festivals–the Los Angeles Chocolate Salon in Southern California and the International Chocolate Festival in The Bay Area–home to some of the finest chocolatiers and chocolate makers in the United States. I’ve had the opportunity to meet about 100 chocolate powerhouses from California and am thrilled with the variety and quality of chocolate being produced in California. So many new companies have come to the stage in the past 10-20 years. But this post is a salute to one of America’s oldest chocolate companies–Guittard Chocolate, which celebrated its 150th birthday in November, 2018. Gary Guittard is president and CEO and his daughter Amy Guittard serves as director of marketing for the Guittard Chocolate Company, an iconic American chocolate company founded by Gary’s great grandfather in 1868. 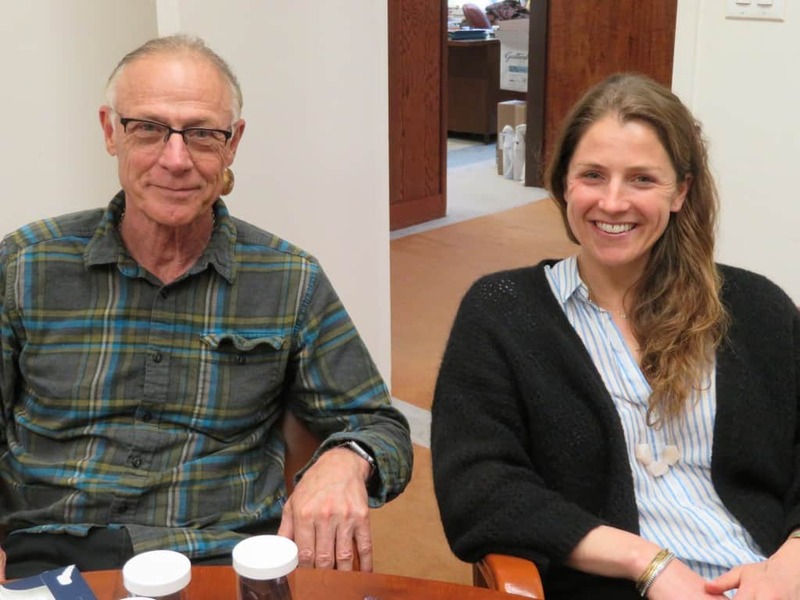 I had the pleasure of meeting Gary and Amy Guittard of the Guittard Chocolate Company based in Burlingame, California, in 2018, and was fascinated to learn about this iconic fifth generation American chocolate company. Founder Etienne Guittard came to California from France to become involved in the California Gold Rush of the mid-1800’s, and began making chocolate in 1868. The company has such a rich history, and it’s exciting to see how this multi-award winning family business has grown, changed with the times, and continues to be a leader in the American chocolate industry. 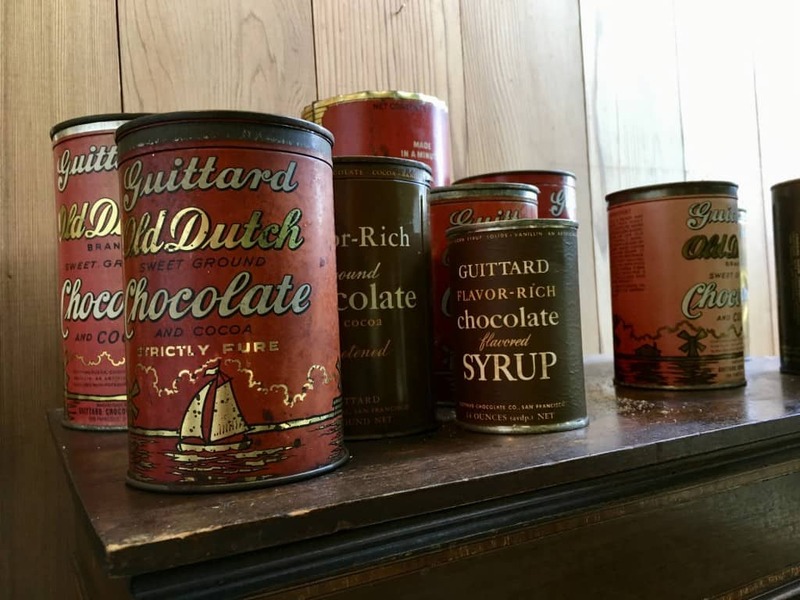 Some of the early Guittard chocolate products on display at headquarters of the Guittard Chocolate Company in Burlingame, California. The Burlingame 100,000 square-foot factory was built in Burlingame–a small city of just over 30,000 residents located on the San Francisco Peninsula–in 1954 and began production in 1955, after everything was moved over from the former location in downtown San Francisco. The Burlingame location is not open to the public, but Guittard’s chocolate products can be ordered from the company website and are shipped across the US. What makes Guittard different? They like to make blended bars combining different cacao varietals from different origins. I really enjoyed the 45% dark milk chocolate Soleil D’Automne bar featuring notes of crème fraîche and caramel apple made from a blend of Criollo and Forastero beans from West Africa. Ninety percent of Guittard’s business is derived from sales of commercial products to different segments of the chocolate trade. 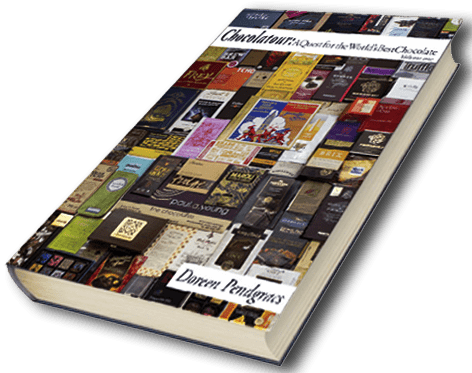 Couverture is made for chocolatiers. Commercial baking chocolate is sold to pastry shops and confectioners. And 10 per cent of Guittard’s sales are derived from selling chocolate bars, confections, and drinking and baking chocolate to chocolate lovers across America. So thanks to Gary Guittard for pointing me in the direction of delicious single-origin Hawaiian chocolate. And thanks to the San Mateo County/Silicon Valley Convention and Visitors’ Bureau for facilitating my trip to their great region as I continue to discover why there is so much to love about California-made chocolate. Doreen, Chocolates are always my guilty pleasure, I have really started loving your chocolate journeys, Luckily, I have enjoyed Hawaiian chocolate but I have never actually tasted Guittard. Now, after knowing its oldest in Calfornia I really want to experience it. Reading about the crunchiness, smooth chocolate makes me crave for a lot of chocolates. 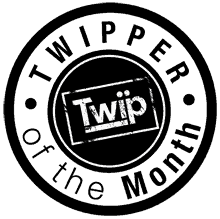 Hi Tushita and thanks for your comment. Guittard is not the oldest chocolate company in the US, but very close to it! They are making very good chocolate that has withheld the test of time. You have visited 100 chocolate powerhouses?! How fortunate are you? 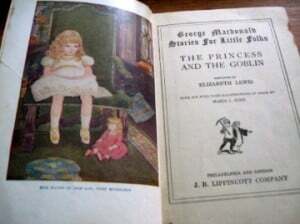 It is always nice to read about successful family businesses. May the Guittard Chocolate Company long continue through the generations. Just 45 minutes from my daughter’s home! I think I will choose these (55%, single origin Hawaiian grown) as birthday gift for her! Guittard was one of the first brands to send products to The Chocolate Cult so your article was particularly interesting to me. Wish I lived close enough to tour myself. Unfortunately, they didn’t give me a full tour. But we did a tasting in their board room and that was nice, though not completely satisfying. That’s is disappointing but at least their chocolate is excellent particularly for American chocolate. 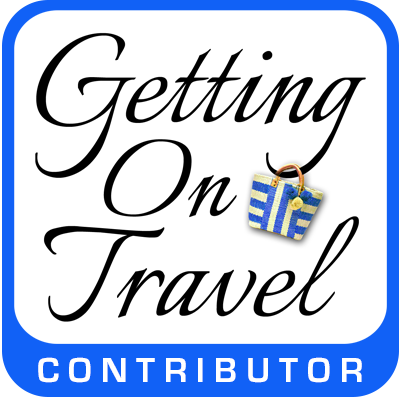 Doreen, we love articles that include plenty of backstory, as well as topic content. 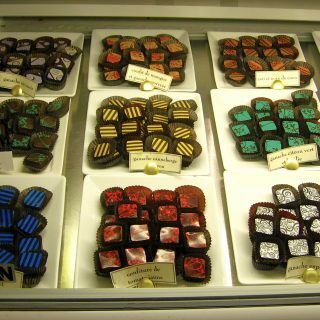 This piece on Guittard Chocolates opened our eyes to the background of an American chocolatier whose products we adore. Thanks for this insight. With so many new chocolate companies emerging it must have been interesting to visit such a long established company. Indeed, Karen. 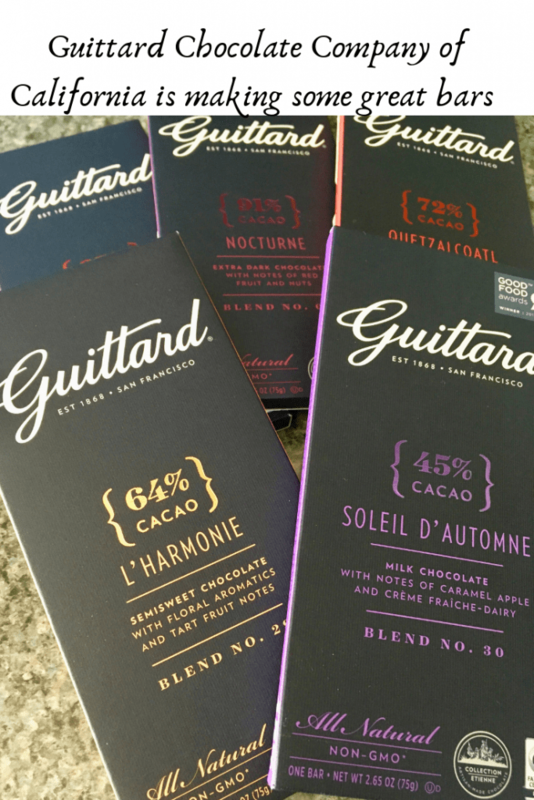 I think that it is pretty incredible that Guittard is now a 5-generation company and that they continue to create new and taste tantalizing chocolate products. Good to see the family business flourish. The dark milk chocolate Soleil D’Automne bar would be my first choice. You’ve convinced me! 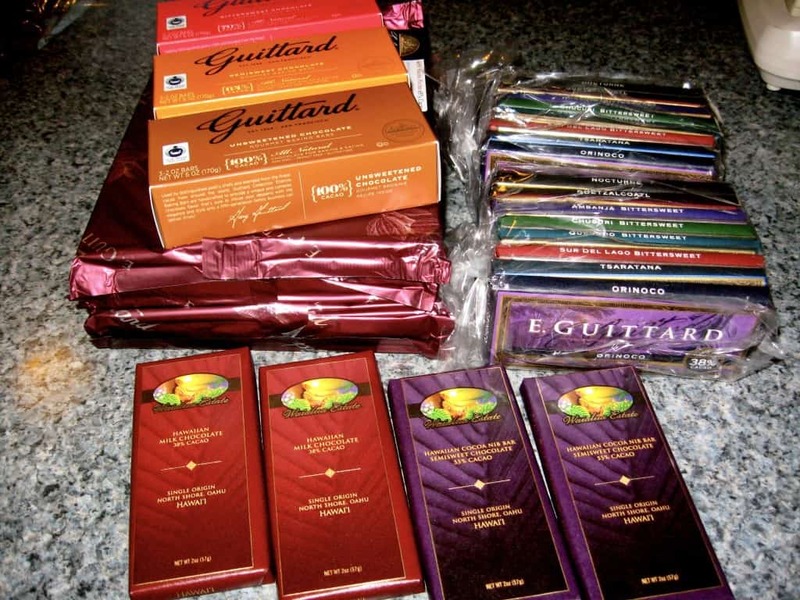 I’d love to try some Guittard Chocolate… is it possible to find the single origin Hawaiian anywhere in Canada or online? 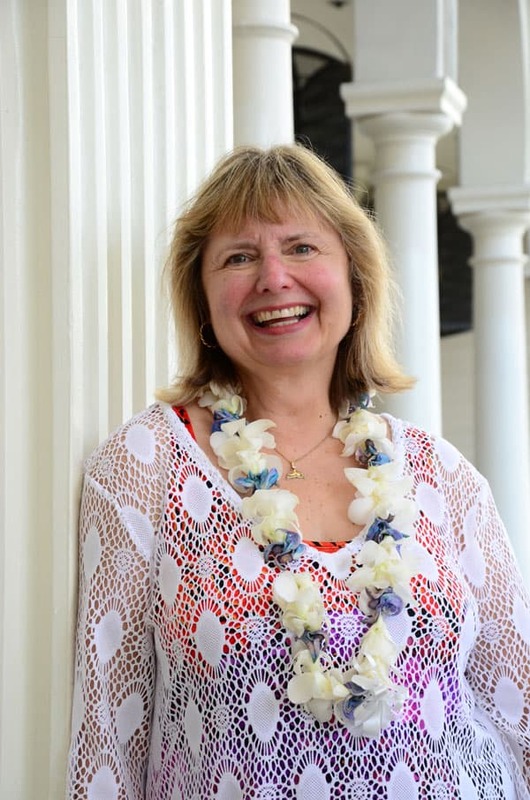 Hi Michele: You’ll have to check Guittard’s website to see if they are offering the Hawaiian chocolate online. I know it is always in limited supply. We are on our annual trek to Hawaii and I always think of you when I see the locally produced chocolate products. . .oh so much chocolate and oh so little time. Most interesting post on the Guittard family’s history in the chocolate business. Thanks so much, Jackie. 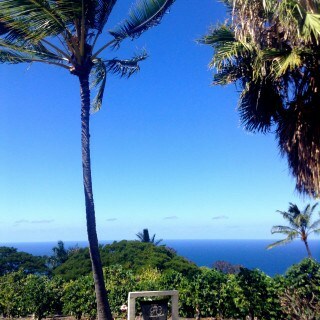 I envy you heading to Hawaii as we’re in a polar vortex here right now and I do love that Hawaiian chocolate! Have a great trip! You certainly know how to hunt down the best chocolate, Doreen! It’s amazing that Guittard Chocolate Company has been an ongoing business for 150 years. That’s quite an accomplishment, kudos to Gary and Amy. I love these long-term chocolate companies and their stories. It’s wonderful that they keep going and turning out such great chocolate! Hi RoseMary. Yes, it’s quite amazing that a company could stay relevant with all the changes that have taken over the world of chocolate. Guittard is obviously doing something right! It makes sense that You hunt down the best chocolate. Its great to see a family business still flourishing after so many years. That 100 or so is just in California, Chin. Over the past 10 years I’m sure I’ve visited or met with far more than 500 chocolate makers and chocolatiers around the world. I’ve never counted! I’ve heard about and used Guittard Chocolate for it seems like forever. I must have known it was based in the Bay Area, where I live, in Burlingame, but I had forgotten. Too bad they don’t have a factory tour. 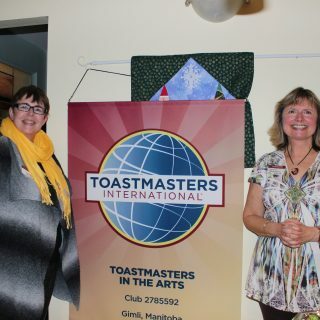 Do you live in Burlingame, Carole? I was there in April. Such a lovely community and region. There’s one thing having a public factory tour. 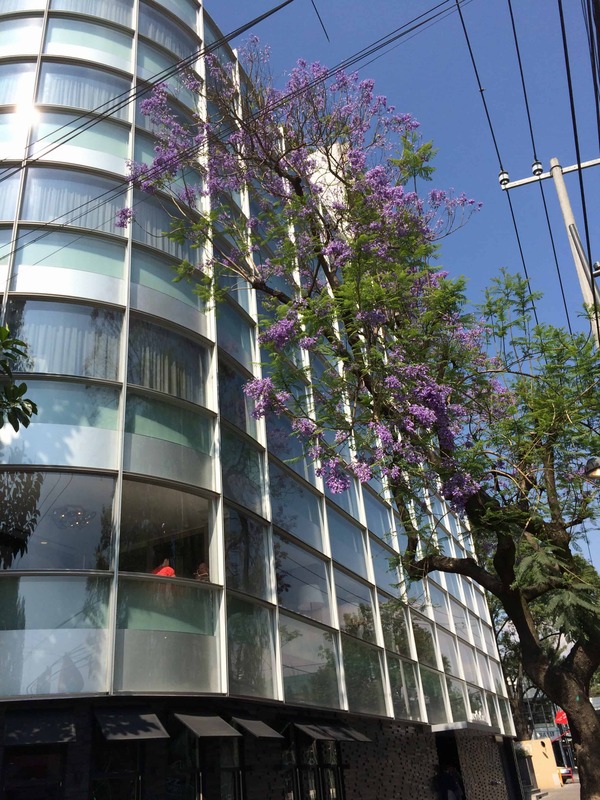 But as someone who earns her living writing about the world of chocolate, I have never been denied a factory tour at any place I have visited–until then. No to living in Burlingame. I live in the Bay Area, in Berkeley. So much to see and do in that entire area, Carole. You are a lucky woman! Have a great weekend. It was a fascinating read about this 150-year-old company Guittard Chocolate. It has such a rich heritage of chocolate making and seems to have left its footprints on the chocolates of time. 5 generations of chocolate makers seems so interesting. Hi Sandy. 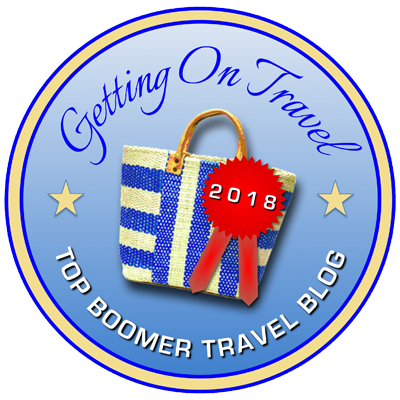 Yes, in this day and age of competitiveness, it is encouraging to see a 5th generation company continuing to do what they do well, and not being afraid to delve into new ways of doing things. Thx for stopping by. Doreen, thank you for sharing! My wife is a big chocolate fan, and I am a big fan of family, and stories that are passed down through generations. You have managed to make an article that captured our attention. I also loved to hear about the fact that not only do the founder’s family still works and carries out the business, but also the descendants of their collaborators and former employees. Thank you so much for your comment, Emidio. I’m glad you enjoyed my post about Guittard Chocolate. It is indeed an inspirational story in the world of chocolate. It is great to know so much about the Guittard Chocolate Company and its origin. It must be quite interesting to visit such an old chocolate business. 1868! Thats way long back. 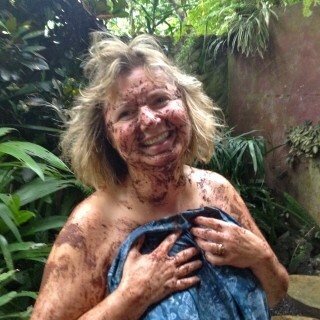 Love reading your chocolate journeys. Thanks for your comment, Amrita. Yes, Guittard is probably the biggest name in making couverture for American chocolatiers. So they are a well-known and well-respected long-established company in the world of American-made chocolate. You give readers well informed information about Guittard Chocolates. Thank you and have a great day. Guittard Chocolate. It has such a rich heritage of chocolate making and seems to have left its footprints on the chocolates of time. 5 generations of chocolate makers seems so interesting. wow..I love chocolates. specially dark one..